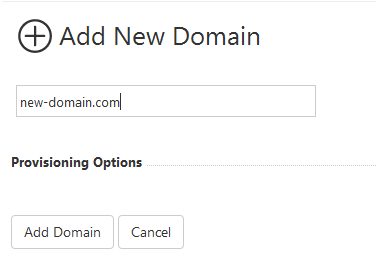 To add a new domain login to the MSPControl and click on Domains or go to Web > Domains. Type in the address and click Add Domain. Done! Now this domain is in your list.